This event "Bend Down... Pause" @ Bohannon Soulclub has already ended on 02/05/2016. Bohannon invites you to a unique night called "„Bend Down, Bend Down…Pause" where we are going to create a Caribbean Carnival feeling right in the heart of Berlin. 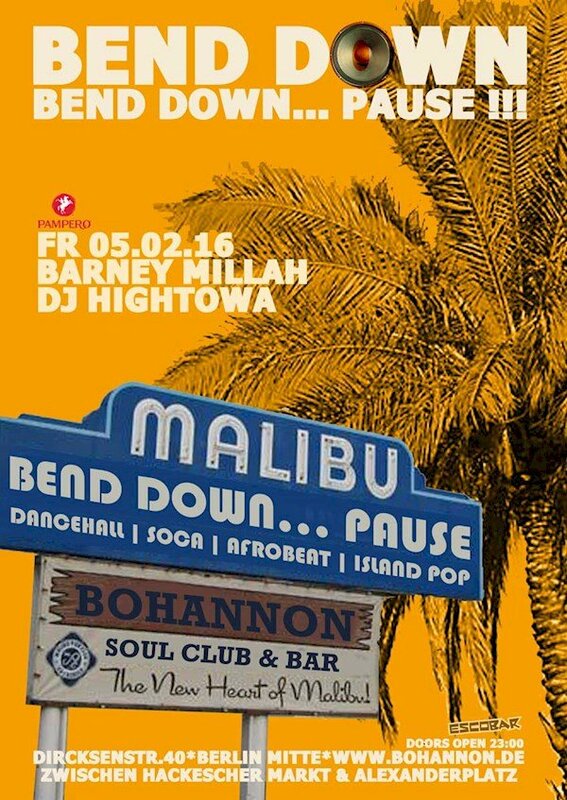 Come & enjoy a special night full of vibes with Barney Millah & DJ Hightowa! !